In certain countries, attempting to protect the environment can be a death sentence. 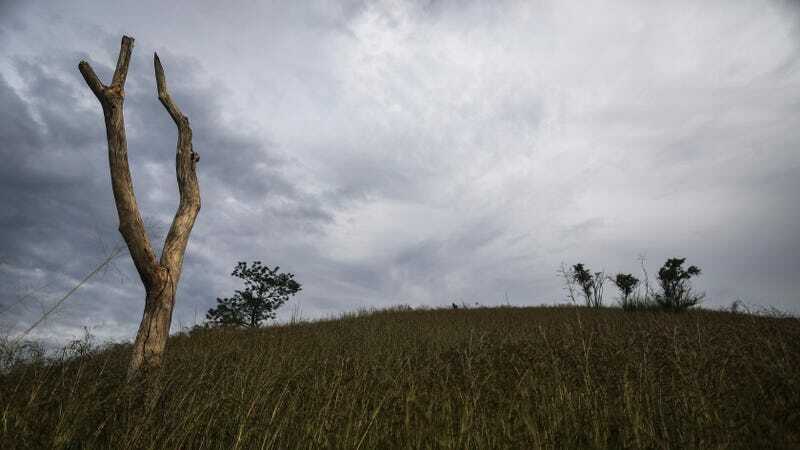 Take Brazil, where at least 132 “environmental defenders” have been killed since 2015. This year has seen the deaths of 185 environmental defenders worldwide, according to The Guardian. The Guardian’s been trying to track all these deaths for the first time this year in partnership with Global Witness, a nonprofit that works with locally-based groups around the world to expose environmental and human rights abuses. The two groups document people who have taken peaceful action (voluntarily or professionally) “to protect the environment or land rights,” per the publication’s words. While some are indigenous people protesting to protect their ancestral lands, others might be journalists who write about environmental movements. Park rangers and environmental officers fending off poachers and loggers have made the list, too. Finding out about these killings isn’t easy work because they tend to happen in remote places: think the Amazon rainforest, or indigenous communities in the small Latin American country of Honduras. Honduras—where the renowned indigenous environmental activist Berta Caceres lived and was killed in 2016—is among the most dangerous places to be an environmentalist, according to The Guardian’s analysis. More people died here per capita since 2015 than anywhere else on Earth. After hearing about a death, Global Witness must verify it. The group looks for local news reports or relies on local organizations’ investigations. Details on how a person was killed, where, and when are all important steps before the organization can confirm a death. Then, The Guardian adds the death to its database. Sometimes, weeks or months pass after someone is killed before it is made public. While 185 might sound like a lot of killings, 2016 was even worse: 201 environmental defenders died. Although it only has three years of data, Global Witness believes the number of killings is on the rise, a trend The Guardian attributes to increased conflict between environmental defenders and industry. Mining, logging, and agribusiness drive these violent deaths when, for example, industries invade indigenous lands without consulting local tribes. When indigenous people protest, industry groups often respond by threatening them or involving the authorities. Across continents—from Brazil, to South Africa, to the Philippines—many of these killings have common characteristics. As companies and investors go in search of land to grow crops, mine minerals or feed cattle, many are doing business where the rule of law is weak and corruption rife. Made financial offers they can’t refuse (often including bribes and kickbacks), governments are handing land to industry without first getting the permission of those who live on it. Just earlier this month, tribal leader Datu Victor Danyan died in the Philippines after soldiers shot him for “defending ancestral land from coffee plantations,” as The Guardian described it. In other cases, the culprit wasn’t coffee; but palm oil or bird poaching. Some people have been shot during protests, others by “hired hitmen,” according to Global Witness. The list goes on. The way things are going, four environmental defenders are expected to die this week. And remember, these figures are based on the deaths one organization discovered. The actual number could be much higher.